I was fortunate enough to attend BlizzCon 2018 in person, (thanks to help from a friend). It was my third BlizzCon, and I had so much fun hanging out with friends and talking with people in the Diablo community – some of whom I was meeting for the first time. In this blog post, I wanted to share my thoughts about Diablo Immortal, how it was announced at BlizzCon, and the reaction of fans of the Diablo series of games. I’m well aware that this blog could easily attract people who are upset, disappointed, and/or still enraged by the whole situation. Be aware that comments on this blog are moderated. 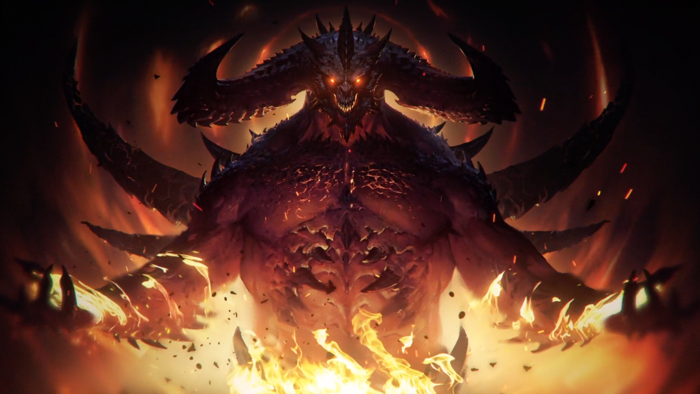 Diablo Immortal is a brand new game in the Diablo series. It is mobile-only, and has not been released yet. The crowd at BlizzCon reacted to this announcement with emotions that ranged from surprised, to shocked, to anger. Some loudly booed the stage after learning that Diablo Immortal will not be coming to PC (or Mac). After the announcement was made, I put in effort to listen to people who were displeased that Blizzard was giving us a mobile game, instead of something – anything – for the PC (and Mac). After BlizzCon, I intentionally sought out podcasts, and videos, and blog posts where someone in the Diablo community expressed their thoughts. People who play video games on PC-only, and who are the core of Diablo’s fan base, feel left out. Or, maybe ignored is a better word. They don’t play mobile games, and feel that Diablo Immortal was not made for them. It was made for an entirely different audience – who aren’t the core of Diablo’s fan base. And, they are absolutely right about that. Why does this group feel left out? Diablo III came out in 2012. The first (and only?) expansion, Reaper of Souls, came out in 2014. Since then, we’ve gotten a few new sections added to the game, and the Necromancer class (released in 2017). There are a lot of people who love Diablo and who desperately want some new content to play on PC. It was pretty clear that we should not have expected Blizzard to announce Diablo 4 at BlizzCon 2018. But, I think many people expected to hear something announced – perhaps from one of the “multiple Diablo projects” – that would give them at least a hint about what would one day be coming for PC. Part of the problem appears to be that there likely were some people who, despite the “temper your expectations” warning from Blizzard, still believed, in their heart of hearts, that there would be a Diablo 4 announcement. I think this group may have felt heartbroken when what they wanted was not announced. Most of the people who are upset weren’t honestly expecting a Diablo 4 release at BlizzCon. No one was expecting a Diablo mobile game, especially not one that was a completely brand new game in the Diablo series. The announcement blindsided a lot of people. As you may have heard, there were people in the crowd at the first Diablo panel at BlizzCon 2018 that booed the stage. Personally, that caught me off guard. To my knowledge, there has never been a BlizzCon where fans felt the need to shout “BOO” at the people on the stage. I’m not sure I have the words to express how awful it felt to be at a Diablo panel at BlizzCon and hear part of the Diablo community reacting with booing. For a moment, I wondered if things were about to get violent. For those that don’t know, BlizzCon attendees this year had to go through metal detectors and have their bags looked into before they could enter the Convention Center. The first Diablo panel was right after the opening ceremony. The need for extra security was still on my mind. To clarify, I think the booing was a reaction to the announcement that Diablo Immortal would not come to PC – not specifically because it was a mobile game. The mood did not improve after Wyatt Cheng, who I believe was excited about Diablo Immortal, responded to the angry crowd with a comment pointing out that they all had mobile phones. He seemed blindsided by the booing – which, as I mentioned, has never happened at BlizzCon before. I completely understand that people were upset because they wanted something new for the PC. I get it. I’ve been playing Diablo III on Mac since the beta. I would have liked to hear about “multiple Diablo projects”, too. I wasn’t expecting a mobile game at all. If you look my website, you will see that I’ve done a lot of blogging about Diablo and have a podcast about the lore of the “Diablo universe”. I’m one of the original hosts of the Shattered Soulstone podcast, still on the show from time to time, and have taken over the editing. I figure this makes me one of the core of Diablo’s fan base. That said, I do not feel that booing the stage, at BlizzCon, before anyone had the opportunity to even try Diablo Immortal, was an appropriate way to express the disappointment and/or anger that people were feeling. I completely understand the emotions that people were feeling. I believe people had good reasons to feel those emotions. Booing the stage does not provide anyone at Blizzard with the type of constructive criticism that they need to hear in order to consider making changes. It only lets them know that some people are upset. It doesn’t give the people at Blizzard any direction or specific feedback to work from. Let me make this perfectly clear – the emotions people felt are valid. The way those emotions were expressed, while likely cathartic, are not helpful if the point is to encourage Blizzard to make changes. When the booing was happening, it made me feel like perhaps I had misjudged the Diablo community and that maybe it was a whole lot more toxic than I’d realized. Later, I realized that it wasn’t the entire crowd, or even the majority of the crowd, who decided to boo. It bothers me that people, who are not in the Diablo community, may be hesitant to join in and play Diablo on PC (or Mac) after this. If I were an outsider, and watched people boo the stage at BlizzCon, it would make want to avoid the Diablo community. It makes me sad that what I know to be a wonderful community is going to be seen as angry and unwelcoming because of the loud voices of a few … that were live streamed on the Virtual Ticket. The backlash over Diablo Immortal is probably going to affect content creators who make their living by podcasting, streaming, making YouTube videos, and/or blogging about Diablo III. It’s not going to personally affect me, because all my attempts at making money on the Diablo content (or any other content) I create have entirely failed. If a significant number of the core of Diablo’s fan base decides to stop playing Diablo III, and has no interest at all in Diablo Immortal… it doesn’t leave Diablo content creators in a good place. It is fairly easy to figure out how to stream Diablo III. (I needed some help from a friend in order to make that work – but that’s me). But, Diablo Immortal is a mobile game – so it is going to be a lot more difficult to figure out how to stream gameplay from it. It might be a struggle to find the right path after BlizzCon 2018. Streaming Diablo Immortal could turn off people who are still upset about the lack of anything being released for PC. Fans expecting to see their favorite streamer playing Diablo III might unsubscribe if they see Diablo Immortal instead. No one knows if the people who end up being huge fans of Diablo Immortal will also seek out streamers who play it and subscribe to them. The game hasn’t been released yet, so there’s no data about that to work from. If I was making money from streaming Diablo III – I’d probably be freaking out right now. Content creators who make videos or blogs about lore will probably find new content in Diablo Immortal. But, there’s the chance that the content could be ignored by people who don’t have an interest in the mobile. There’s also the risk of having your chat, or comment section, fill up with angry comments by displeased, but very passionate, Diablo fans. I think Diablo podcasts, that have been around for a long time and have built up a wonderful community of fans of the game, might survive this controversy. Unless, of course, the community disappears as a reaction to Diablo Immortal. Things are going to be a bit stressful for a while – even for content creators like me who don’t make a living from their work. I had the opportunity to try Diablo Immortal at BlizzCon. It was really fun! The game runs extremely smoothly, the graphics are great, and I think the new skills (that can be combined together) will be exciting to figure out and use. I’m looking forward to discovering the lore in the game and seeing how it fits with the Diablo lore I already know. The majority of my time spent playing video games is on my Mac and playing Diablo III. I also play some of Blizzard’s other games on my Mac. There was a brief time when I was playing Hearthstone on my iPad mini, but the game took up too much space. I ended up deleting it from my iPad mini and going back to my Mac with that game. I also play mobile games. Pokémon GO, Animal Crossing Pocket Camp, and Neko Atsume are on my phone. Other mobile games are on my iPad mini. I’ve figured out that when I’m too sick to play video games on my computer, I can still play the smaller, simpler, mobile games on my tablet. For those that don’t know me, I have three autoimmune diseases and it is not unusual for me to be sick for a month or more at at time. It is comforting to still have access to video games while I’m sick and suffering. I’m fighting a bad case of “Con Crud” as I write this blog post. This battle is going to last for a while. One of my autoimmune diseases is rheumatoid arthritis. It is in my hands, and the joints in my fingers start to swell after I’ve been playing games that require a keyboard and mouse after about an hour. Mobile games are easier on my hands, and I can play longer, and with less pain. When I played Diablo Immortal at BlizzCon, I realized I could move my character around with one finger and use the skills with one or two fingers. I will definitely be playing Diablo Immortal. That doesn’t mean I’m going to stop playing Diablo III. I see room in my life for both. Yes, I realize that most of the people who pick up Diablo Immortal are not going to cross over to Diablo III. Maybe no one else but me will end up playing both games. I don’t know. Obviously, your experience, and impressions of Diablo Immortal, will vary. I’m not here to change your mind about it one way or the other. The purpose of this blog post was for me to have a place to put all my thoughts about Diablo Immortal and to get it all out of my head. My Thoughts on Diablo Immortal and BlizzCon 2018 is a post written by Jen Thorpe on Book of Jen and is not allowed to be copied to other sites. This is a great, thoughtful piece. I was mortified listening to fans boo the stage at Blizzcon, I can’t imagine how it must have felt to be in the room. This game isn’t the new PC Diablo content that I’ve been wanting, but I am still excited to play it. You’re one of the few independent bloggers I’ve read who actually got the chance to play the demo. I’m really glad to hear that it was fun and easier on your hands than a mouse/keyboard! Thanks, Gracie! I really appreciate your comment.